A mere twenty minutes is required to travel between Wilkes-Barre and Hazleton, PA via Interstate. But back in 1903 the pioneering (protected third rail, no grade crossings, ...) WB&H offered a one hour schedule which seemed lighting fast compared with roundabout rail service. 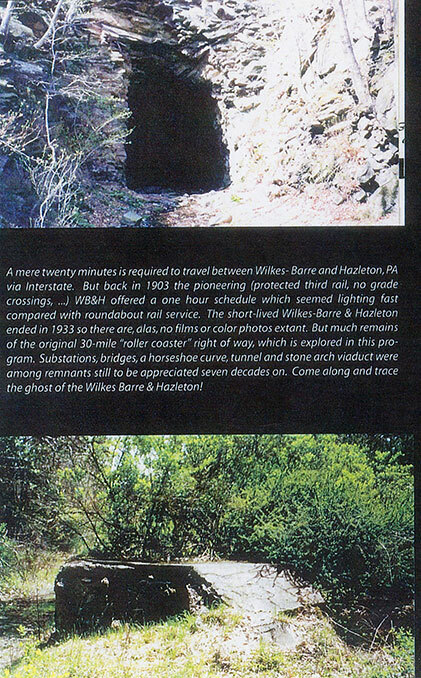 The short-lived Wilkes-Barre & Hazleton ended in 1933 so there are, alas, no films or color photos extant. But much remains of the original 30-mile "roller coaster" right of way, which is explored in this program. Substations, bridges, a horseshoe curve, tunnel and stone arch viaduct were among remnants still to be appreciated seven decades on. 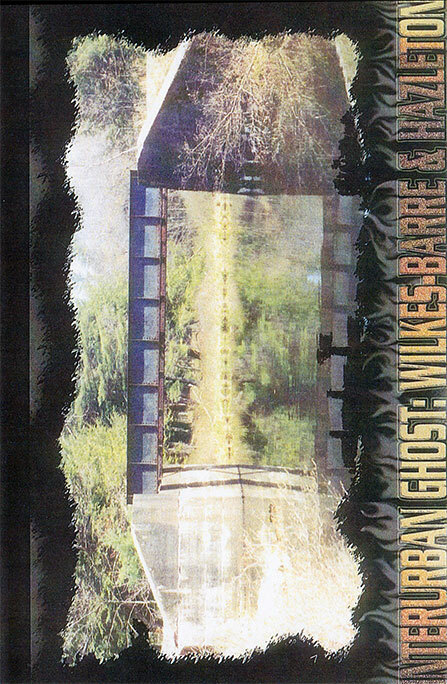 Come along and trace the ghost of the Wilkes Barre & Hazleton!